Shanghai, China’s biggest city, has the world’s biggest port and the longest underground railway system. The city offers seemingly endless opportunities. This city is a pulsating symbol of China’s rise to a super power on the international stage. Shanghai's skyline is soaring to ever-new heights. The 600-meter-high Shanghai Tower is the second tallest building in the world. Almost everything in the Chinese megacity of Shanghai is bigger and faster than anywhere else. Shanghai is also expanding underground: every day, more than 10 million passengers travel through the subway tunnels beneath the city – a volume only surpassed by Tokyo. Thirty thousand close circuit cameras monitor the traffic. The 24 million inhabitants have to race to keep up. A driving force behind China’s rapid change, Shanghai is a city of superlatives and eventful history. 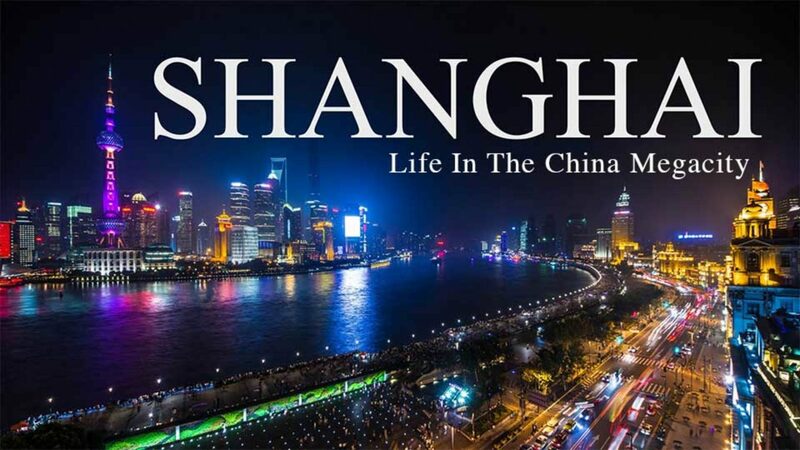 The documentary shows how Chinese people in Shanghai go about their everyday lives. Li Langbin is a dock worker; Li Yinfeng a security officer in the subway; and 25-year-old Dai Meng a singer rising to fame. These are some of the faces behind this dynamic city. Entrepreneurs from all over the world also see the potential here in Shanghai. David Li has returned from the USA to launch a cutting edge start-up for autonomous driving. Many start-ups here operate at world-class level. And the Chinese are very receptive to new technologies. China is very keen for Chinese businesses to become international players in future technologies – providing 100 billion euros’ worth of grants. Many local governments also offer start-ups free premises. There are well-trained, well-motivated employees in the Chinese city of Shanghai – and wages are a lot lower than in Silicon Valley. In start-ups it’s normal to work twelve hours a day, six days a week. The skyscrapers in the Pudong district are a symbol of China's burgeoning economic growth. Not far away, old districts that still bear the traces of Chinese history including European colonialism, Japanese occupation and Mao's Cultural Revolution are disappearing. We meet people like Mr. Xi, who is opposed to this wave of modernization in China and refuses to leave his 100-year-old Shikumen house, even though most of his neighbors have already gone. Shanghai’s breakneck pace affects people within the city, throughout the rest of China and on an international scale.